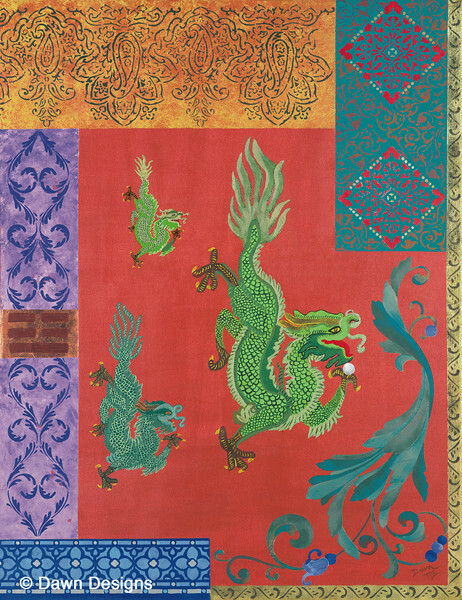 This Feng Shui art series is a collection of nine paintings that represent the aspects of the classical Feng Shui Ba Gua. Each painting contains the elements, trigram, number, shape, colors and symbols of specific goals in our lives. Each section represents the aspirations we all share and want to manifest in our lives. These beautiful paintings are now available in hand made journals, address books, greeting cards, puzzles, mousepads and fine art prints. You can use them to activate, enhance, and manifest your Intentions in the areas of your life corresponding to the powerful Ba Gua energy centers.